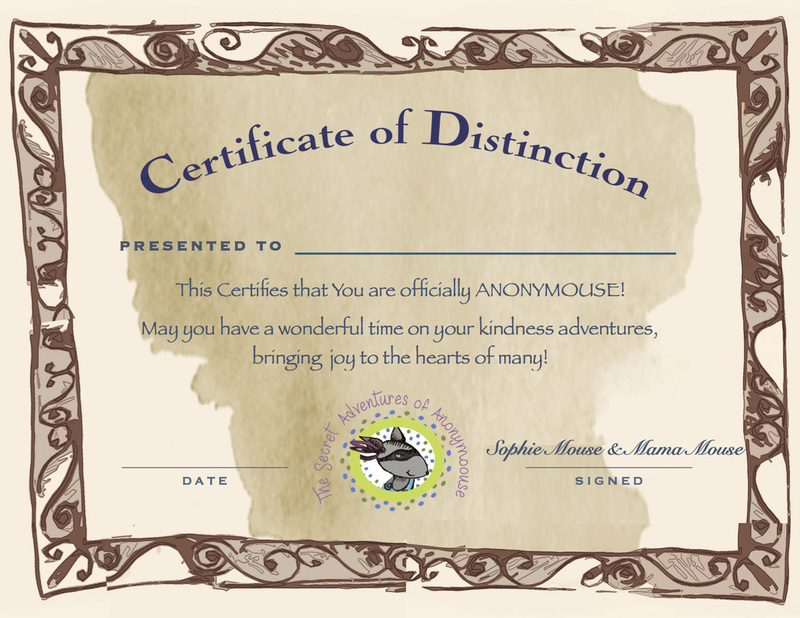 What are some of the things that Anonymouse did for others in the forest? How did the forest animals feel when Anonymouse did nice things for them? 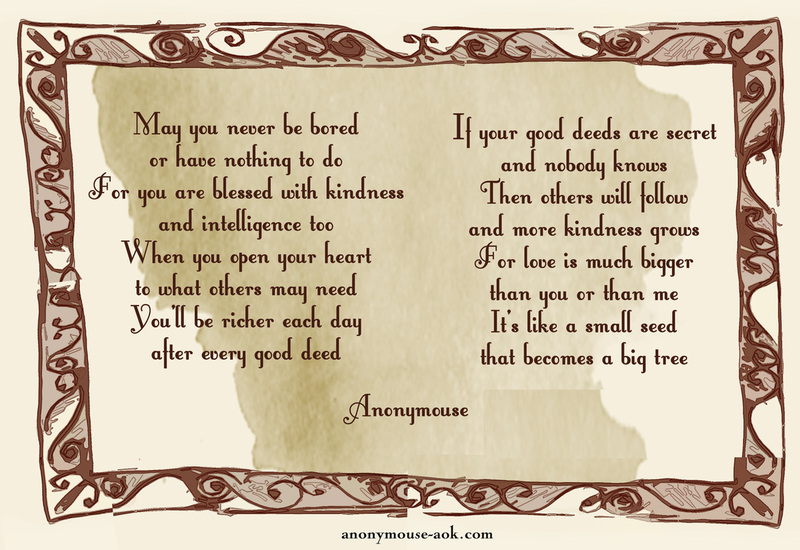 What does the poem mean when it says that good deeds are like a small seed that becomes a big tree? Have you ever secretly done something nice for someone? Who do you know that you could do something nice for? What are some ways that you could help others?